Toronto is a delightfully diverse city and its many neighbourhoods reveal cultural influences from around the world. 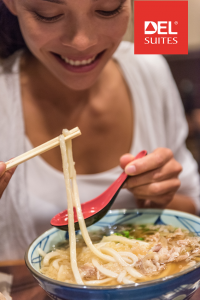 Let’s take a close look at one of those exciting neighbourhoods – Chinatown. Everything from food markets to bars to music shops to vintage clothing boutiques and much more are located within this compact neighborhood, running along Spadina Street. 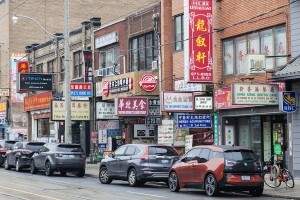 It is one of the largest Chinese districts in North America and is home to ethnic Chinese from Vietnam, Taiwan, Singapore, Hong Kong and elsewhere. One of the best times to visit this neighborhood is during Chinese New Year, when there will be a loud, noisy and exciting Dragon Dance parade winding through Dundas Street. 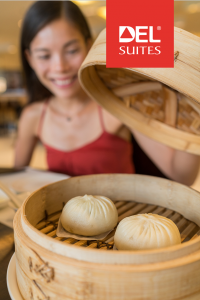 This Old Chinatown Food Tour offered by Toronto Food Tours is led by a culinary professional and will take you on a guided adventure sampling some of the yummiest treats Chinatown has to offer. The infamous Furama Cake and Desserts is well known in Chinatown as a hub of activity and a spot for older Chinatown residents to catch up on gossip over tea. It’s a great place to try some delicious cream buns. If you are the type of person who is obsessed with beautiful stationery, you’ll love The Paper Place. This shop features gorgeous paper, art supplies, notebooks, books and more. Chinatown in Toronto first began in the 1890s, when many American Chinese emigrated from California (due to the racial conflict there) and from the Eastern USA (due to the economic depression). One of the first to establish here was a man named Sam Ching, who opened a laundry business on Adelaide Street. He was the first Chinese person to be listed in the city directory of Toronto and there is now a lane named after him. Chinatown went through two phases in it’s history. There was the original “First Chinatown”, which became a slum area for incoming immigrants from the 1890s to the 1950s and was razed in 1955 to make way for Nathan Phillips Square and Toronto New City Hall. Then there is what is known now as the “Old Chinatown.” Although a small Chinese community was already in this location before the 1950s, the businesses that had to be relocated from the first area moved here. 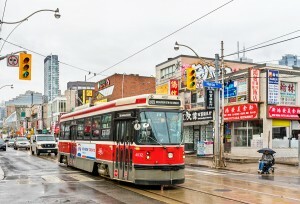 Chinatown is accessible by the 510 Spadina and the 506 College Streetcar. It can also be reached from the St. Patrick Subway Station, which is about two blocks west along Dundas Street. What’s your favourite spot? Let us know in the comments below. 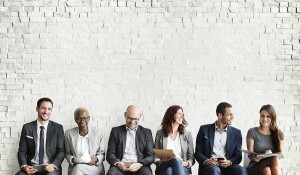 One of the main roles of an HR professional is to take care of the company’s employee, ensuring that they have everything they need to achieve success in their new role. 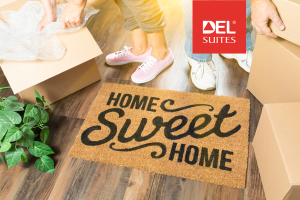 When you send out key players into a new location, one of the best ways to support them and relocate employees is to set them up with a great place to stay. 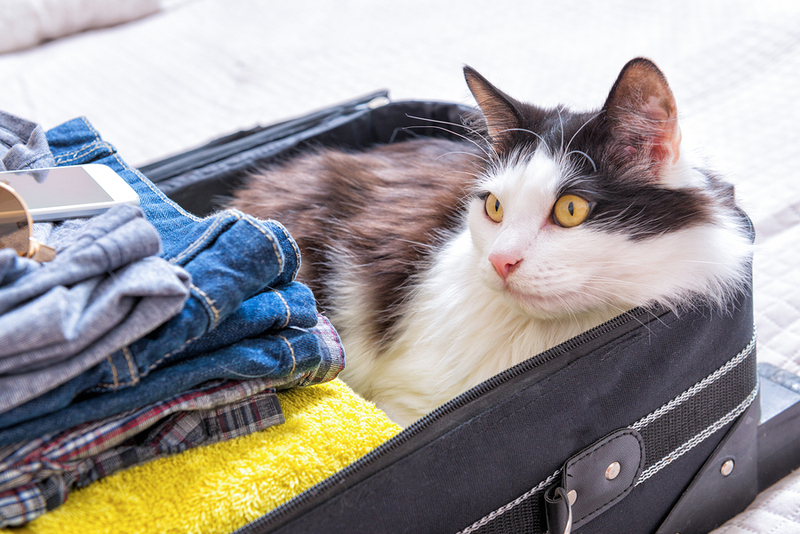 Where Do Employees Stay When They Relocate? 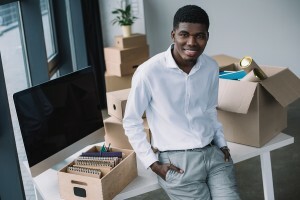 Let’s say that you are relocating an employee to Toronto on a short term assignment or project. You can either doom them to a stay in a cramped hotel room where they will have to get work done on a tiny table in the corner and eat dinner in bed, or you can set them up with a full apartment so they can live comfortably. 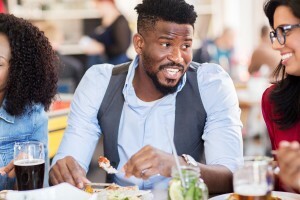 This is especially important when these employees are relocating for work with family and partners, as they will require more space and amenities. When you offer high quality, comfortable and convenient accommodation for your employees, this will have a positive effect on your bottom line in the way of improved employee satisfaction and better retention. Plus, when employees have a comfortable place to live they will arrive at work happy, healthy, well-rested and ready to perform their best. 24 hour customer service, secured parking and housekeeping. A fully equipped kitchen with state of the art appliances, allowing for convenient self-catering. A spacious living area with a separate dining and sleeping area. Convenient locations close to the most important neighborhoods and transit in Toronto, so that employees don’t have to spend a lot of time commuting. High speed internet and free local and long distance phone calls. Underground, assigned parking with 24 hour building security. 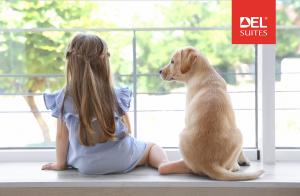 Many of our properties are pet friendly, so that employees can bring their beloved animal companions when they relocate. A friendly team of experienced staff who will welcome all guests in a professional, helpful way. These apartmen ts allow for employees to have a residential experience, while still remaining close to the office. Also, they will be able to have a social life, as this style of accommodation enables them to invite family or friends over to visit. 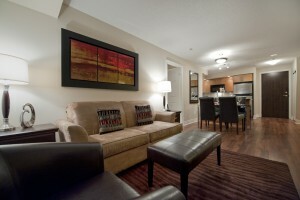 Plus, long term corporate apartment rentals are much more cost effective than daily hotel rates. 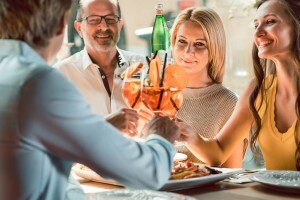 When factoring the benefits of amenities, there are significant savings. These apartments are the ideal way to bridge the gap between onboarding and a permanent relocation. With comfortable surroundings such as these, employees can ease into their new environment when arriving for a position. 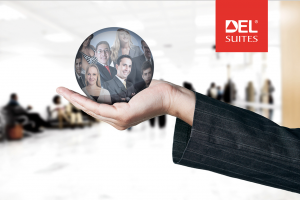 To find out more about our corporate furnished apartments for human resources to relocate employees, feel free to contact us at inquiry@delsuites.com.